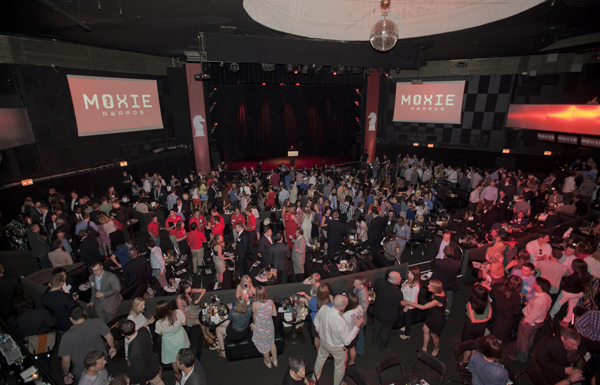 Built in Chicago held their second annual Moxie Awards on Thursday night at the swank Park West. Over 800 entrepreneurs, techies, and local dignitaries packed the ballroom for the awards, which highlight the city’s rapidly growing tech scene. Chicago’s Mayor, Rahm Emanuel, who has been in the spotlight lately for his city’s climbing crime rate, took a break from the negative to highlight the positive. The event comes just a week before the national tech spotlight shines on Chicago Tech Week. Next week’s Tech Week event is expected to draw a crowd of a few thousand to Chicago’s Merchandise Mart, home to 1871. TechWeek will feature an exhibition area, several panels, and speakers including the creator of CRM, Mike Muhney, and the boisterous founder of MegaUpload, Kim Dotcom via video feed (Dotcom can not currently travel into the United States). Here are the 2013 Moxie recipients, reported by Built In Chicago..
Nibletz is using Chicago startup Centup find out more here.